Managed central access to your real devices distributed across multiple locations and devices stored securely on site. This is that ZAPFARM Private Cloud. 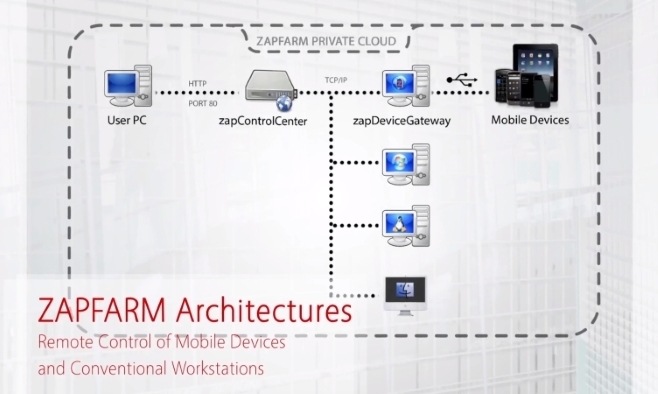 ZAPFARM supports remote control and management any hardware: iOS, Android, Windows, Unix and Mac OS. ZAPFARM architecture is very simple: the user connects to a single point of access - the ZAP Control Center. The Control Center then transfers the connection to the ZAP Device Gateway machine to which the mobile devices are connected through a USB cable. Other devices such as Windows, UNIX and Mac OS do not need a device gateway for connectivity. 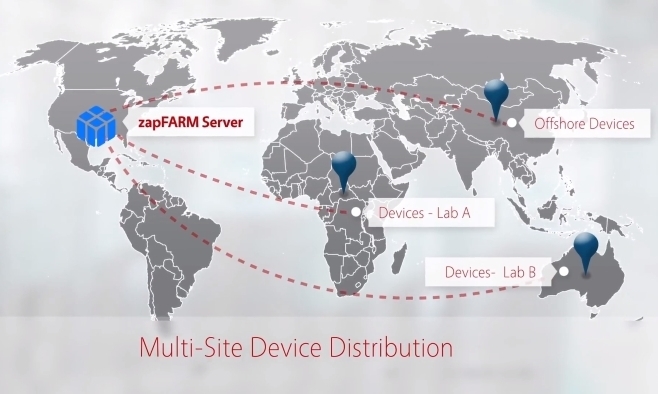 Private Cloud runs on your internet server and provides managed access for your real devices enabling you to control and manage any platform remotely with a single click, including installation and removal of applications on the device and with ZAPFARM multi-site you can distribute your devices across multiple locations. Let us show you how easy it is to get started. Log into the admin console. The dashboard will show you a summary of all your assets. Let's add a new user group. This group will represent our QA team in Atlanta. Now let's add a new user and assign it to the Atlantic group. Next we will assign a device to this user group. All of your devices are configured automatically but you can also configure them manually. It's pretty simple: just type in the information about the device and then assign it to one or more user groups which will have access to it and that's it. Now your users can navigate their browsers to the ZAPFARM Private Cloud user access page, control the device remotely and use it for manual or automated testing with ZAPTEST. ZAPFARM supports all the mainstream browsers and the licensing is device based. So you can have as many users and groups as you need. Visit us at www.zaptest.com today. 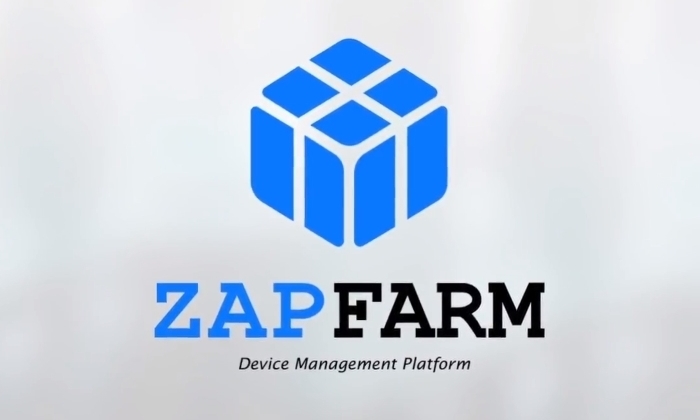 Make sure ZAPFARM is the best solution for your team! Start a free trial!